Deep Hydrating, All Day Moisturising, Nourishing, Firming, Regenerative And Renewing. Uses the latest natural skincare chemistry technology, combining the effective ingredient of hyaluronic acid to give your skin a much needed boost of nutrients. This mask uses a natural invisible mask material allowing the skin to absorb the nutrients efficiently for 15 minutes. 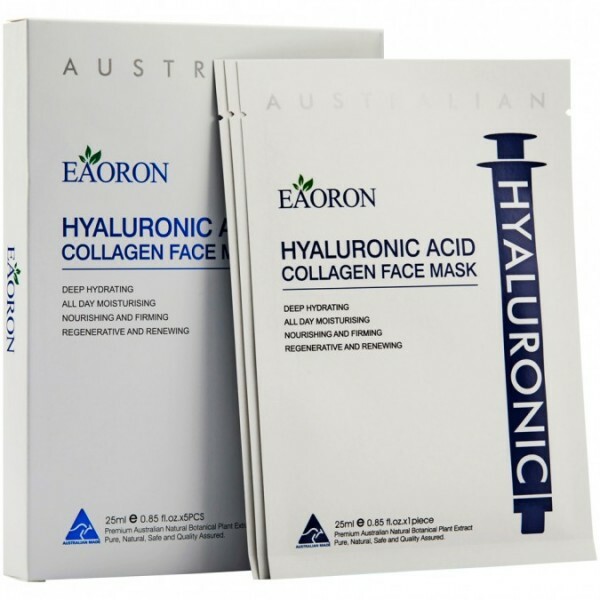 Filled with collagen, the mask enables your skin to regain its firmness, bounce and glow. It can also help to hydrate, brighten the skin, and reduce fine lines to give you a younger looking skin. For all skin types. Store in a cool place, keep away from direct sunlight. After cleaning the face, gently apply the mask onto your face and make sure all areas are covered (avoid contact with eyes). Leave the mask for 15 to 20 minutes. Peel it off and massage any remaining essence into your skin.